Avenel, New Jersey (January 1, 2014) –Santos VIP Limousine Service, an award winning company and New Jersey’s premier limousine service, was recently voted into The Knot Wedding Industry Hall of Fame as one of the best wedding vendors in the United States. In addition, Santos VIP Limousine was the only recipient of this prestigious honor in the limousine category for New Jersey. Comprised of winners of the annual Best of Weddings, a by-brides-for-brides guide to the top wedding vendors in 80-plus cities across the U.S., the Hall of Fame inducts wedding vendors who have won four or more Best of Weddings awards. This honorable list of more than 330 inductees includes less than 1 percent of wedding professionals. Included in this list is Santos VIP Limousine, the only limousine service in New Jersey selected to be inducted into the Hall of Fame. Santos VIP specializes in luxury wedding transportation and offers an impeccable, diverse fleet of limousines, party buses and vintage cars that are perfect for weddings and special events. 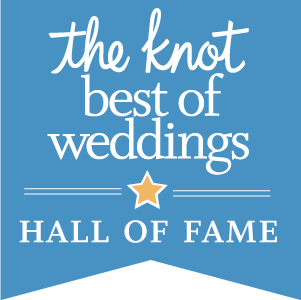 The best-of-the-best Hall of Fame winners from across the country were based on more than 700,000 reviews from real brides.